1977 saw the release of Star Wars sparking the birth of a science fiction phenomenon and one of the most extensive media franchises of all time, later that year George Lucas signed a contract with Twentieth Century Fox to produce a sequel, initially called Chapter II and later becoming The Empire Strikes Back, directed by Irvin Kershner the film continues the story of the Rebel Alliance's battle with the Galactic Empire as our heroes are chased across space by Vader's forces. 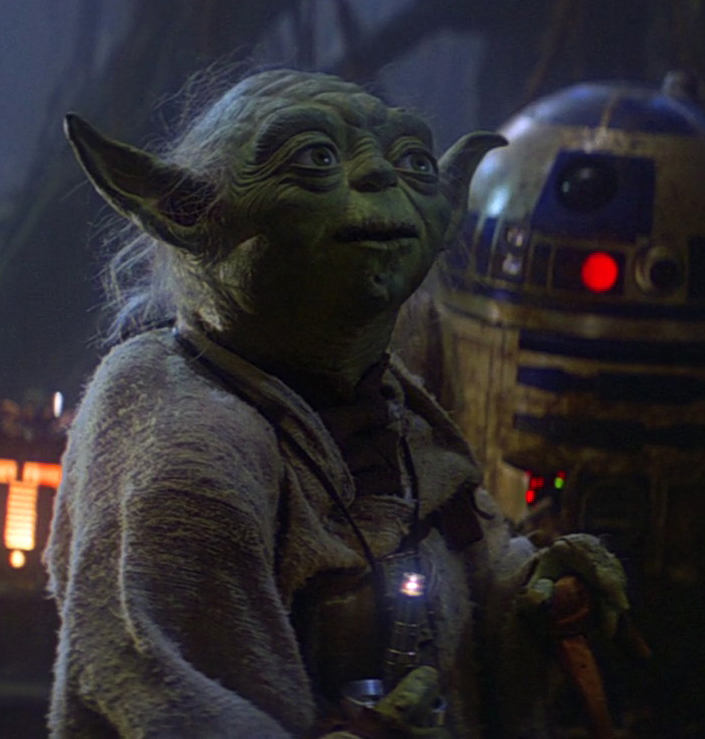 Much of the recipe which contributed to the success of Star Wars remained unchanged with the lead cast reprising their respective roles, stunning visual effects sequences at the hands of Industrial Light and Magic which were later recognised with a Special Achievement Academy Award and incredible design from conceptual artists Joe Johnston and Ralph McQuarrie. The Empire Strikes Back premiered at the London Odeon on May 20th 1980 garnering worldwide recognition, it became the highest grossing movie of 1980 and is today regarded by many fans and critics as their favourite film of the Star Wars saga. 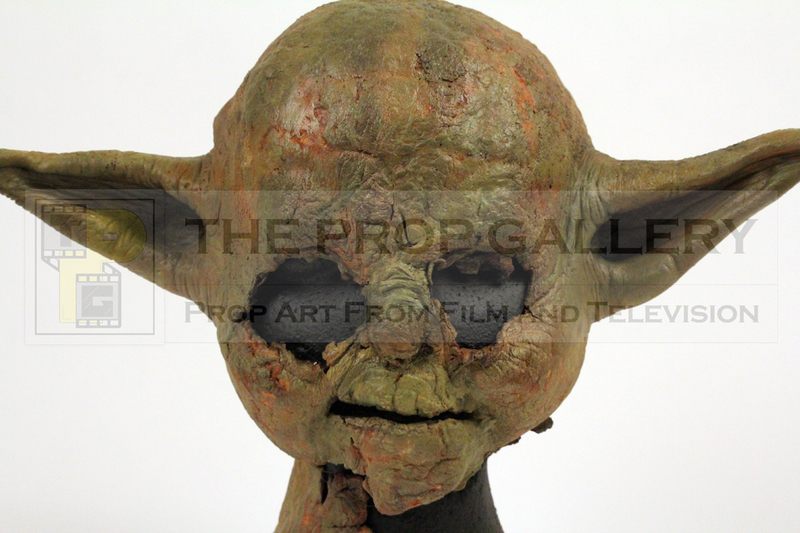 This second instalment in the franchise saw the introduction of some new characters, most notably Yoda, a wise Jedi master whom Luke is instructed to visit on the swamp planet of Dagobah by the spirit of Obi-Wan Kenobi. 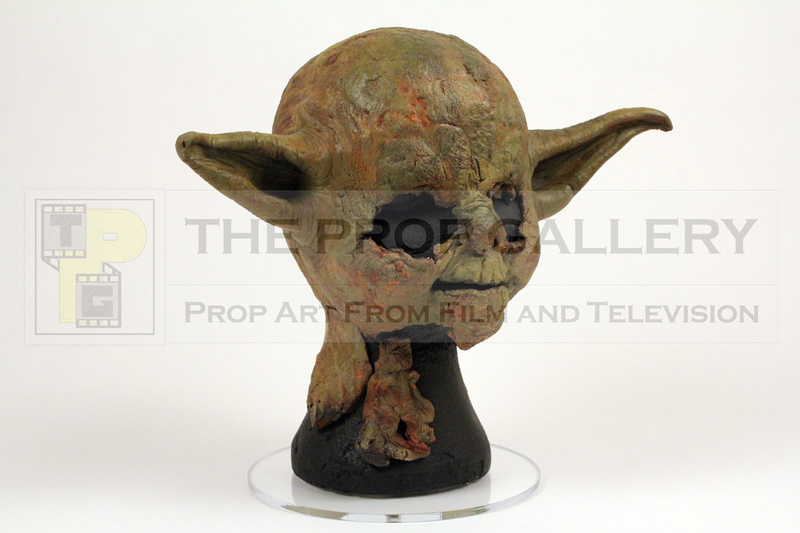 Conceived by Lucas as a replacement for Obi-Wan the character of Yoda underwent numerous design changes throughout the production with initial concept designs first created by Joe Johnston in early 1978 before Ralph McQuarrie created more detailed concept paintings. 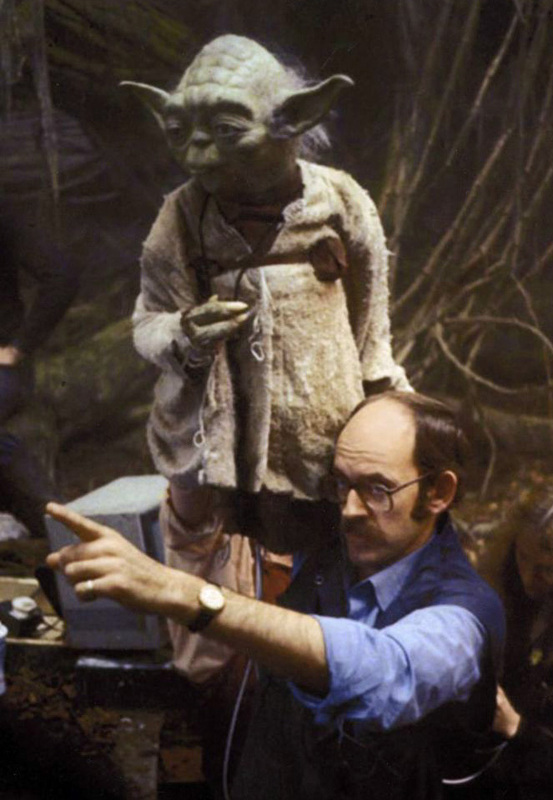 With it decided on Yoda's small stature the problem now arose of how to realise the character on screen, various options were considered which included dressing up a monkey, a small or child actor in costume and stop motion animation, the latter being discounted by Lucas as he felt the method would lack the realism and character that he wanted to be conveyed on camera. After speaking to Muppet Show creator Jim Henson Lucas decided on a puppet being a viable option and recruited the services of Muppet puppeteer Frank Oz who would work with Lucas to evolve the idea and ultimately bring the character to life. 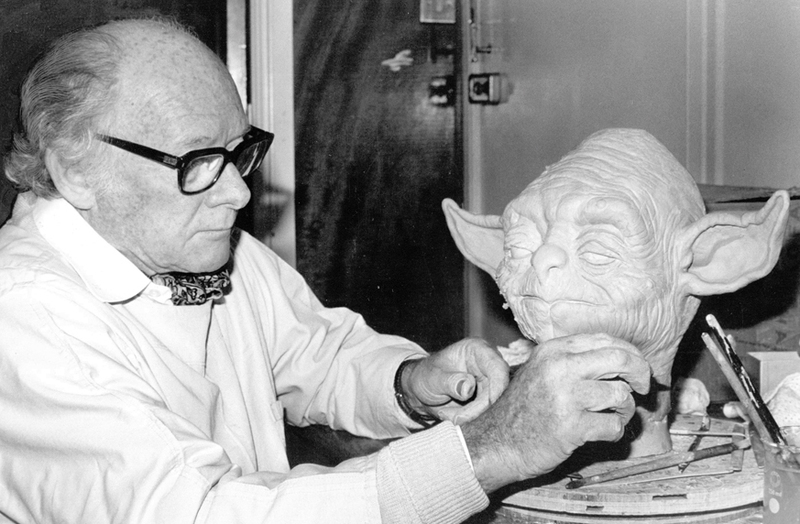 It was make up artist Stuart Freeborn who became responsible for Yoda's appearance sculpting various test models to determine facial characteristics before creating the final clay sculpture the likeness of which drew inspiration from the appearance of Freeborn, its creator, and noted physicist Albert Einstein. 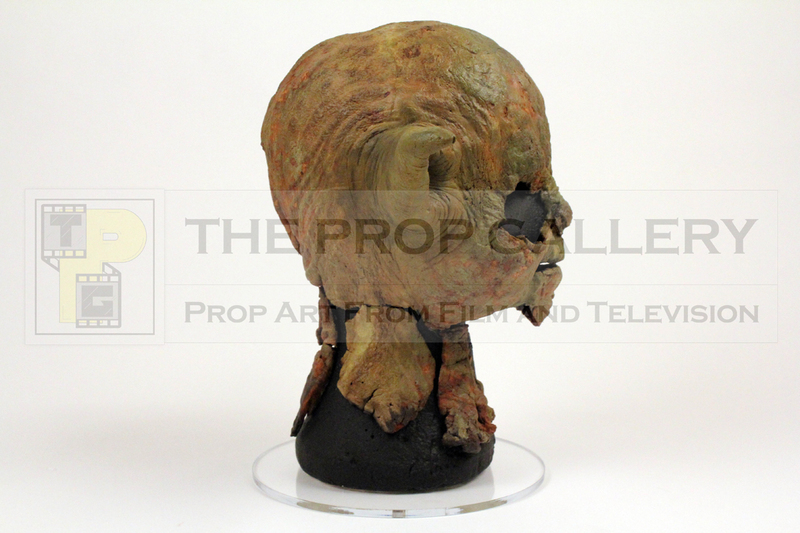 A cast of Frank Oz's hand and arm was taken and he was consulted throughout the development of a complex mechanical puppet which was built from scratch, assisted by colleagues from The Muppet Show the character was expertly bought to life and voiced by Oz, there was even a campaign to get Oz an Academy Award nomination but it was deemed that puppets are not actors. 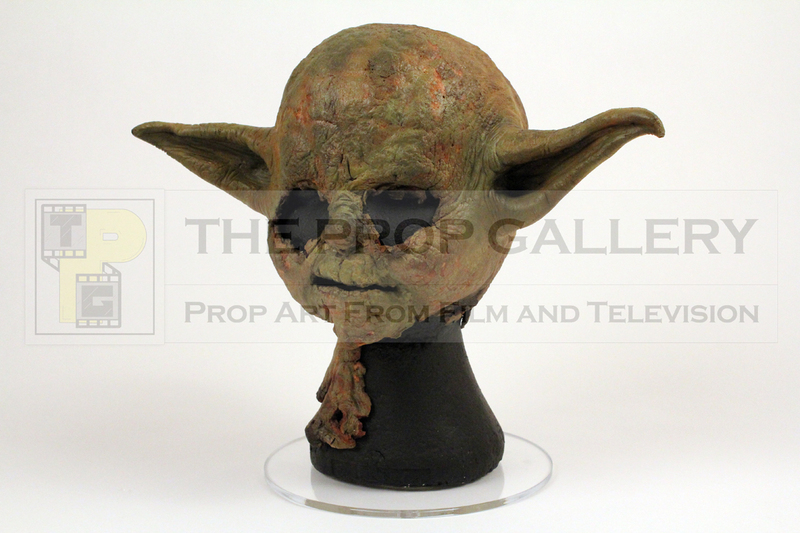 This is one of the original foam latex head skins used on the Yoda puppet, when a skin became worn or damaged it would be replaced with this one being retained after use. 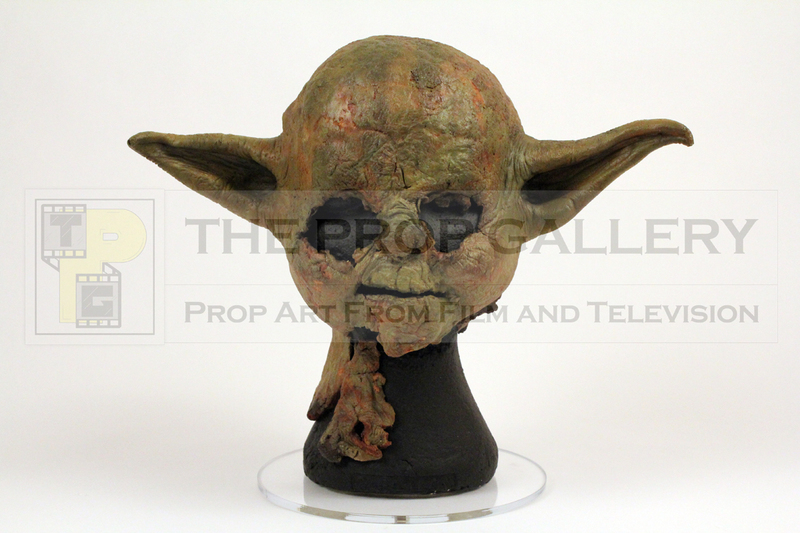 The skin has been mounted on a head form and undergone some sympathetic restoration in order to preserve it with the addition of expertly sculpted ears creating a head display which is instantly recognisable as Yoda. 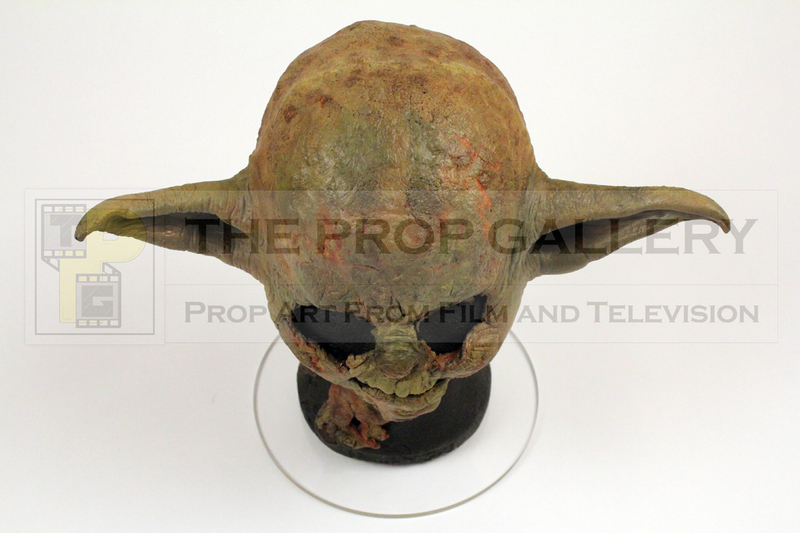 The character of the Yoda has become an important part of the Star Wars universe going on to appear in Return of the Jedi and the prequel trilogy, this represents a rare and iconic artefact from what is arguably the biggest science fiction franchise in cinematic history.